Soft textures, beautiful colours, the serenity of silk. This technique has very special and unique qualities and is fairly quick to work. The ribbon is used to create the design and both are supplied, enabling you to learn the technique properly in one session. 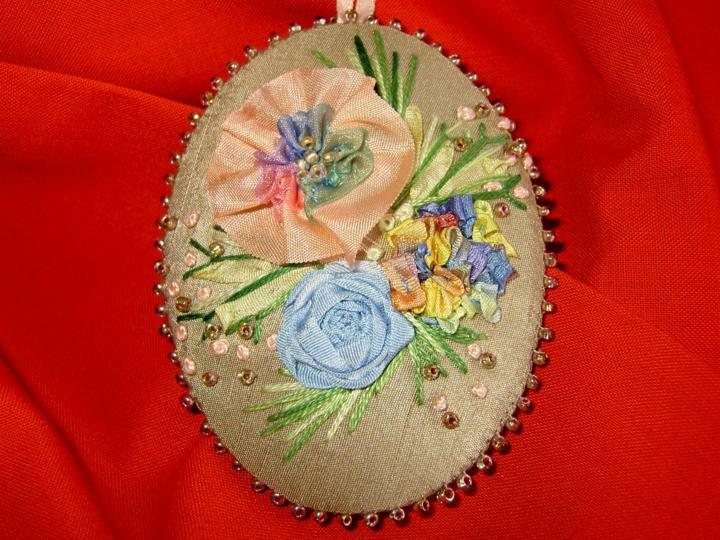 Silk ribbon embroidery was very popular during the 19th Century. 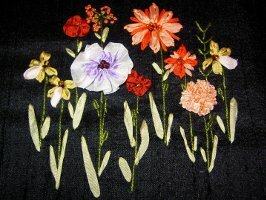 Brenda has brought the technique into the 21st Century by using modern designs and colours. The pieces are also embellished with thread, enhancing the silk ribbon and emphasising its texture.